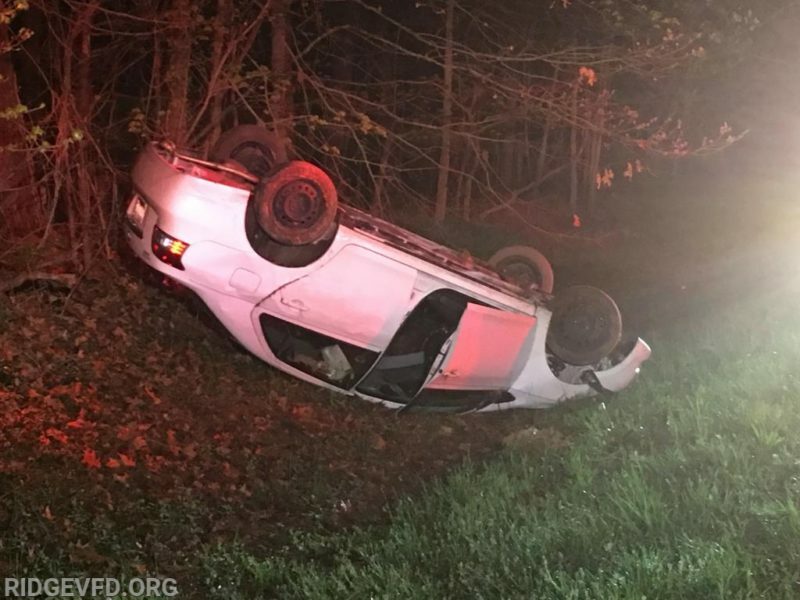 On Sunday, April 14, 2019, at approximately 1:20 a.m., police fire, and rescue personnel responded to the area of Point Lookout Road and Eighteen Wheel Drive in Saint Mary’s City, for the reported motor vehicle accident. Crews arrived on scene to find a single vehicle off the roadway, overturned and in a ditch with the single occupant still inside. The single patient signed care refusal forms on the scene. All photos are courtesy of Ridge Volunteer Fire Department. This entry was posted on April 15, 2019 at 6:44 am and is filed under All News, County, Fire & Rescue, Law Enforcement, More News, St. Mary's News, z 600X120 Top Ad Bottom, z 600X120 Top Ad Top. You can follow any responses to this entry through the RSS 2.0 feed. 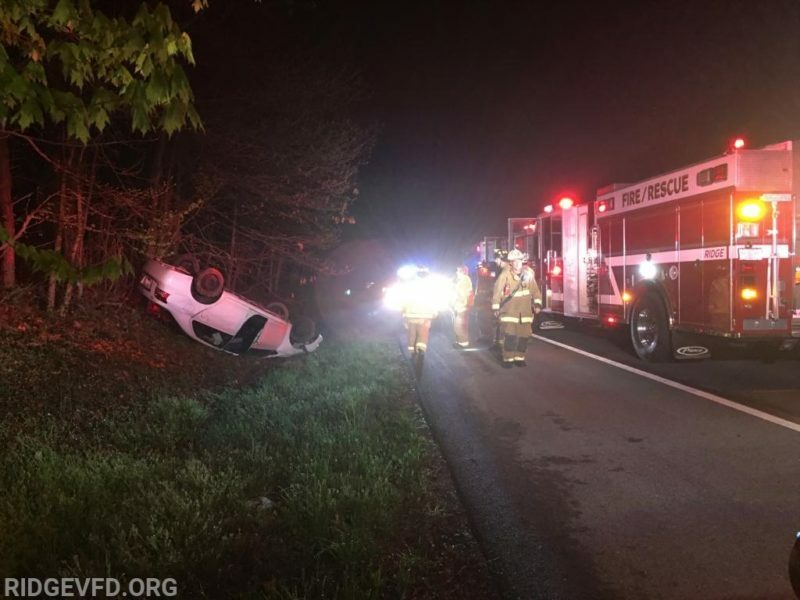 Why have so many rollovers and fires been happening in Saint Mary’s County this month? Very strange to say the least. Does it matter? It’s not like anyone is going to do anything about it anyways. Car wrecks have been a major problem for years around here and not a thing has been done to help with the problem. And what would you suggest to do about it? Its no diffrent anywhere else?